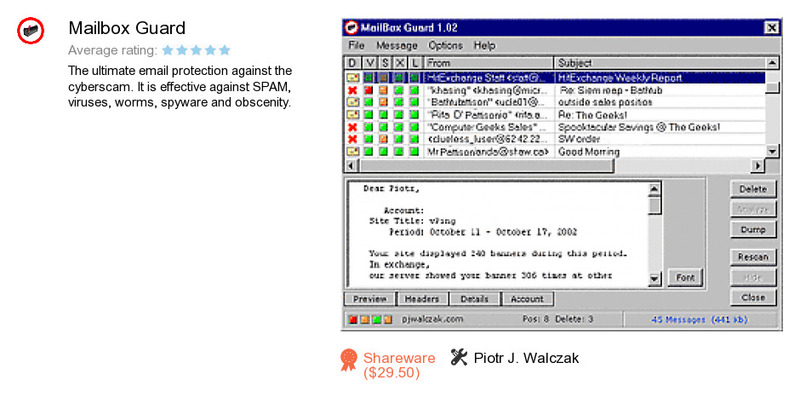 Mailbox Guard is a software program developed by Piotr J. Walczak. We know of version 1.7. Version 1.72.1722 is downloadable at our site. Mailbox Guard installation package has a size of 521,756 bytes. Piotr J. Walczak also publishes StartPage Guard and Math Ninja.